Typhoon Morakot of 2009 caused the worst flooding in the history of Taiwan. 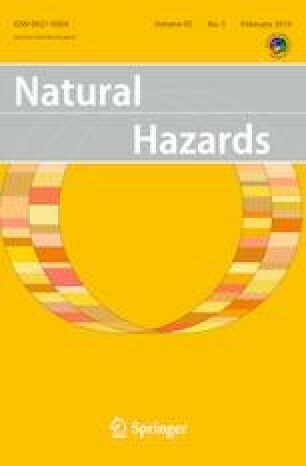 Because research on climate change has indicated that similar extreme disasters are expected to become more frequent, this study investigated adaptation projects for mitigating the impact of such disasters in the future. It used Typhoon Morakot as an example and applied the pseudo-global warming method for simulating the impact of a Morakot-level typhoon plus warming effects to analyze the flood losses caused by increasing precipitation. For this study, Tainan City, a city severely damaged by Typhoon Morakot in 2009, was chosen as a demonstration area to evaluate the optimal adaptation measures by cost–benefit analysis methods. The results showed that the precipitation will increase as much as 60% in the Tainan region at the end of this century and that in the future the inundation area in Tainan will see a 10.4% increase beyond the flooding caused by Typhoon Morakot. Fifteen combinations of adaptation projects were provided to reduce future flood losses. Finally, a composite adaptation project combining riverbed dredging and improved plans for evacuation and sheltering was determined to be the optimal option, as it could create a net benefit of as much as 27 million US dollars in the 60 years of engineering service life for Tainan City. The authors show their deep appreciation to Dr. Akio Kitoh of the Japan Meteorological Research Institute for the provision of MRI data and to an anonymous reviewer for their helpful comments. This project was funded by the Taiwan Ministry of Science and Technology (MOST 103-2621-M-865-001).